Best value for money spearfishing float in Australia the CRESPO Narwhal is constructed with a tough colour fast vinyl outer and an orally inflated PVC inner blader. 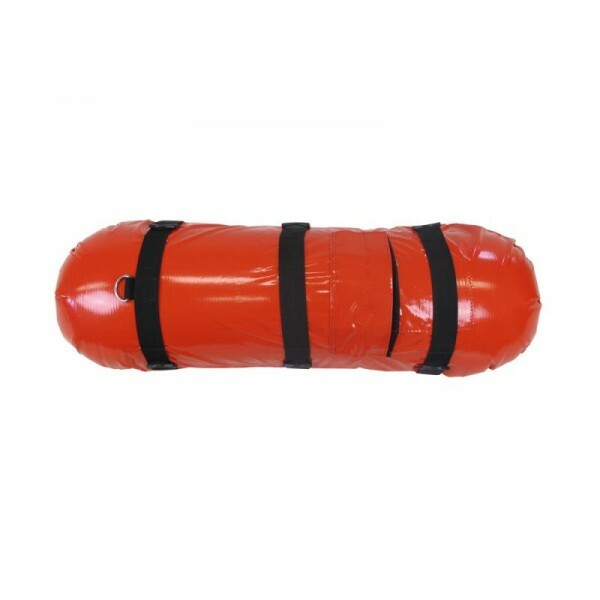 Six D rings for attaching items are standard and with the Narwhal's size, highly visible red colour and AUF-USFA compliant Dive flag its priced at only $65 to ensure that all divers can afford to be safe. Big 25 litre capacity (220mm dia x 800mm long). Six D ring attachments, float line attachement and three webbing straps for tucking in catch bag, spare power bands etc. Counter weight pocket with velcroe closer ensures flag is kept upright. 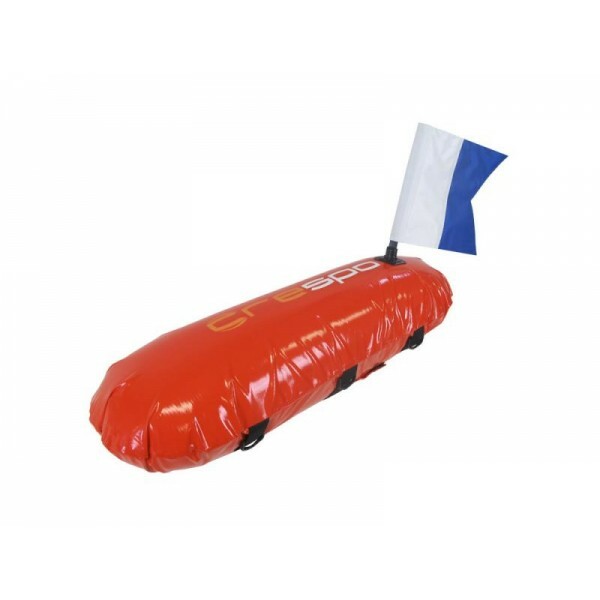 Inflatable design allows the Narwhal float to be stored easily and is kind to boats, car and your head in a seaway. AUF and USFA compliant flag (300mm x 250mm). Safe for leisure diving and no fear of disqualifications for competition divers. Flag is glued to removable post.